Spiritual seekers are of many types. Some have unquenchable thirst for knowing about God; some others love to take the name and sing God’s glory. Yet others would like to spend their time and efforts in serving the suffering; and a few would devote their life in contemplation. Whatever path one may follow, no one is exempted from doubts. We are often assailed by doubts that go on and on till they are cleared. One such doubt is about prayers. Do our prayers reach God and whether God listens to our prayers? On this auspicious holy birth tithi of Bhagawan Sri Ramakrishna it is pertinent to inquire. Then he narrated an incident. A nephew of Sri Ramakrishna, named Ramlal was in Dakshineswar as the Head Priest after the Master’s passing away. Once a sadhu came from Ayodhya to Dakshineswar early in the morning. Ramalal saw this sadhu standing there covered with dust from head to foot. As soon as the man saw Ramalal, he said, “ I have come to meet the Paramahamsa. Where can I meet him?”. Ramalal was taken aback and said, “ Now the mangalarati is going to begin. Come inside the temple.” That man did not enter because he was full of dust and he stood faraway in the temple hall. He saw the mangalarati and then recited a beautiful stotra in praise of Mother Goddess. It was full of devotion and it seemed as though the whole temple hall was vibrating with that and the Mother was highly pleased with it. Ramlal took a long time cleaning the room and so on because he did not want to face the sadhu again. It was a shock to the man! He later narrated that he was a sadhu doing tapasya in Ayodhya for a very long time. And one day he had the vision of his chosen deity, his Ishtam, who told him, ‘Now go to Dakshineswar. I have come in the person of Ramakrishna Paramahamsa. Why don’t you come and meet me?’. In the beginning the penniless sadhu did not believe it. He thought that it was his imagination. Later, thrice he had the same vision. Then he decided to go. He walked all the way as he had no money. He took rest at some places asking people on the way about the direction to go to West Bengal. After three months, he arrived at Dakshineswar, believing the words he had heard in his vision. He had reached his destination, and now here was this person saying that the Paramahamsa was no longer alive. He was simply taken aback, ‘What is this? What do you say? It can not be!’ he exclaimed. Ramlal said, ‘I am very sorry. If you had come even fifteen days earlier you could have met him. He was not here of course. He was ill and was living in the Cossipore garden house and you could have met him there. But unfortunately, he no longer lives’. The sadhu was crestfallen. He could not believe it. He just rolled on the ground moaning, ‘What is this? Why did you cheat me like this? You could have told me you were’nt going to live, that you were not going to be in the body for more than three months and asked me to come immediately. You should have told me! Why did you deceive me?’. The tremendous blow was too much for him. That continued for some time. Later, it was time for worship in the room. People were coming and the sadhu just went outside and sat on the verandah. He sat there while the day passed and the night came. The sadhu did not move. Ramlal came and tried to console him, ‘Get up and have some rest. Take some food’. The sadhu just snubbed him saying, ‘Get out! I have not come for all that!’. Ramlal was afraid of this very tall and strong sadhu. He went away and did not say anything. Another day and night passed. The sadhu was sitting in the same position. Sometimes he used to cry, but otherwise, he was quiet and calm. One more day passed, two days passed and third day came. Ramlal was afraid, because he was the person who spoke first with the sadhu. If he were to die there, Ramlal would be blamed. So again Ramlal went to console the sadhu and to make him get up and eat something, but he could not make him budge. The night also passed. It was hot that night. So Ramlal and others who were working in the temple slept outside on the verandah. That early next morning, before four o’clock, suddenly, Ramlal saw the sadhu, coming upto him on the verandah. He shook Ramlal and laughed shouting with great joy, ‘Did you not see him?’. At first Ramlal did not understand. He thought that may be the man had gone mad as he had not eaten for days and tired from travelling. After narrating this incident, Swami Vishuddhananda said, “Now do you believe it or not? You will say, this is just one of those stories”. He told us that even now that earthen pot in which the sadhu got the Payasam is kept at Dakshineswar and continued, “Tell me, how was his intense sorrow removed? How did he feel full of joy? Do you see how prayers are answered!’. Intense longing prayer… “I have come all the way…. and three days and three nights”. That is what the Master has promised in the Gospel of Sri Ramakrishna. 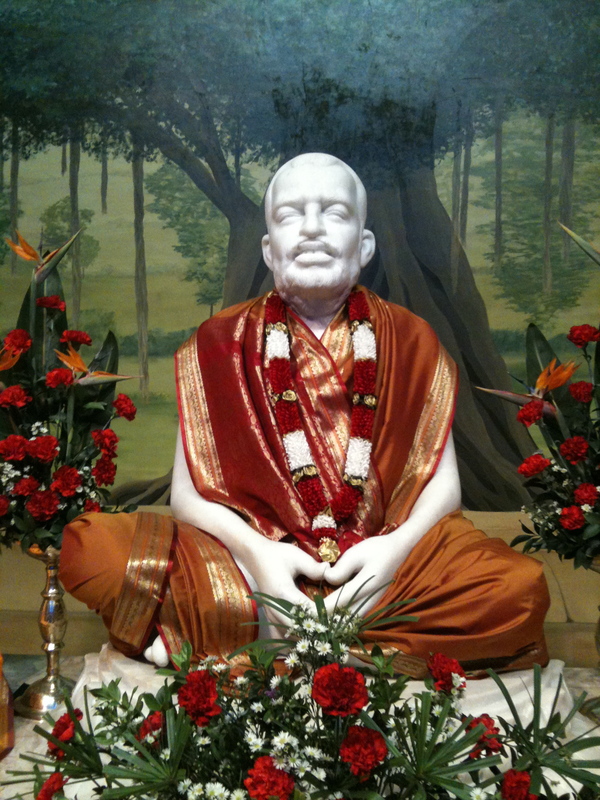 So three days and three nights of one constant, longing prayer, brought Sri Ramakrishna down. He had to come. Prayer has that wonderful power to bring the Almighty down to this earth. Pranam Maharaj, this is indeed encouraging, as an answer to a question coming in mind from this morning. Would you please tell us about Vishuddhanandaji Maharaj? From which year he served as President? Whose disciple was he? Could not get anything in Wiki and others. Indeed, it has happened to me too many a time! Yes, not much info available in the Internet about Most revered Vishuddhanandaji Maharaj. Briefly speaking his early name was Jitendra Nath Bose. He was born on 13 June, 1882 at Village Gurup, Dist Hooghly of West Bengal. He was blessed with mantra-diksha by Holy Mother at Joyrambati in 1906. Next year he joined the Ramakrishna Order at Varanasi Advaita Ashrama. 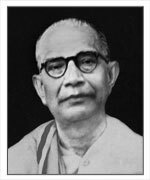 He was elected a Trustee of the Ramakrishna Math in 1922 and became Vice-president in 1947 and later became President on 6th March of 1962. His was the shortest period of Presidentship as he attained Mahasamadhi on 16th June, 1962 while undergoing rest post-operatively. It is said that only two persons got gerua clothes (ochre robes) from the hands of Holy Mother directly and Vishuddhanandaji was one, and the other was Shantanandaji. I have heard much about Vishuddhanandaji from his initiated disciples as well from monks who served him in Ranchi where Revered Maharaj was for long 15 years at Morabadi Ashram. Great sadhu! Salutations to the Master, Holy Mother, Swamiji and respected Maharaj! Just a little comment Maharaj ! Only to say you that this marvelous story was indeed enjoyable. I have taken great pleasure to read It. I wanted to thank you to take time for our own enlightening. I can tell You i feel blessed to know this wonderful blog and discover a lot of sacred stories! Thank You very much too for all the pictures you take time to post for our best spiritual welfare. My English is not good enough to express my feelings. I bow down on your holy feet! Thanks for your appreciative words! Language matters very little and may sometimes be quite inadequate in expressing one’s feelings. Yes, but from the time that you took liking to this blog and the correspondence that we have had so far shows me unmistakably how much feeling you have hidden. I was surprised that you use a Translation software to send me comments and mails as I am not conversant with your mother tongue French. Thats unthinkable! This itself is enough to know the depth of your love. If by reading this blog you feel benefitted, its all Master’s grace. May His grace be upon you ever is my prayer! My humble sashtanga pranam at your holy feet, on the glorious occasion of Sri Ramakrishna Jayanthi! 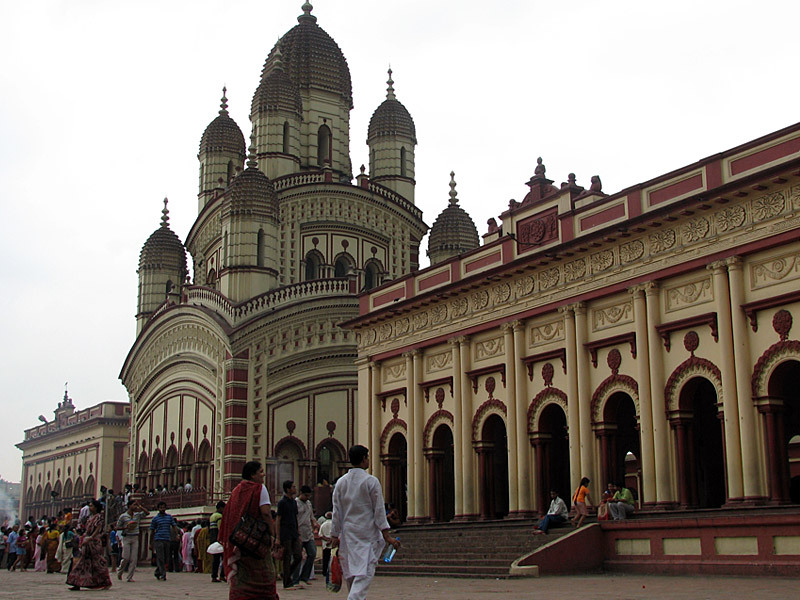 Looking at the pics of Dakshineswar Temple and Divine Mother’s pic, brings back memories of our visit. The pic of Thakur’s room is charming, however is definitely been adapted now due to the many thousands of pilgrims / tourists. Thank you for spiritually enlightening us on this article Maharaj. How glorious to read of Bhagawan’s compassion and love for the devotees. I pray that Thakur’s Grace is always with his devotees and our love is forever intensified. Thanks for your visit to this blog site! Yes, me too used to the present set up of Master’s room, decorated with sepia photos, now a place of special meditative reverence. It is in the outer northwest corner of the temple precinct. When reading the ‘Gospel of Sri Ramakrishna’, one can very well imagine that the Master seated on the small couch with his legs hanging over the side. M says that Master collected many photos of deities and hung them on the walls. The room has 4 doors and three windows. 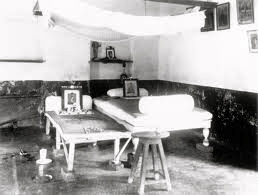 He had two cots – one for sleeping and the other for sitting during discoursing with the devotees. In his day there was no furniture in the room except a stool and a cabinet for keeping sweets and fruits. I was curious to see that ‘old room’ and fortunately I got a photo of it by googling, which I have placed in the blog post. May our remembrances centre round this Incarnation! What a lovely incident which helps us reaffirm that Master is so close to us – and listens to our prayers! Indeed He is close to us. He can listen to the sound of footsteps of ants. But where is that ‘earnestness’ in us? Holy Mother once narrated this incident. “There was one Tejachandra, a devotee of our Master. What a sincere soul he was! The Master used to frequent his house. Some known person had deposited 200 Rupees with Teja. One day he was robbed by a pickpocketer while he was travelling in a tramcar. He suffered terrible mental agony. He went to the bank of Ganges and prayed to the Master with tears in his eyes saying, O Master what have you done to me? May we be blessed to weep for Him! Due to infinite ‘kripa’ of Sri Sri Thakur, this humble servant could pay homage at His Lotus Feet at the holy Temple of Kamarpukur Dham on the sacred tithi of Shukla-Fulgun-Dwtitiya on 6th March 2011. The next day, due to grace of Sri Sri Maa, I could also bow down at Her Lotus Feet at the hallowed Temple of Jayrambati Dham. I am just unable to express in words, my intense feelings, experienced at the sacrosanct pilgrim-sites of Kamarpukur and Jayrambati. Such feelings can only be perceived. And their sacred ambiance keeps vibrating inside me, although I am back in Kolkata now. You are indeed a blessed soul! Well, do you know how many of us, devotees here in far away South Africa, yearn to go around those sacrosanct places of pilgrimage! Yes, I am happy to learn that ‘their sacred ambiance keeps vibrating inside’ you though you have returned to Kolkata. Thats my boy, you got it rightly! Master used to say that once the pilgrimage is over, one should sit quietly in one place and make a virtual tour mentally so that the vibrations that one received in those places can very well sink into the psyche. May You be filled with His thoughts is my prayer! What a beautiful narration of the Master’s love for his devotees! How blessed we are to have such Great assurance from the great Master himself! Is not for anything that the Master is described as ‘bhaktaanupaa dhrita vighraham vai’? He is indeed ‘condensed personification of compassion to devotees’. Lord Krishna gave the wonderful assurance that ‘na me bhaktah pranashyati‘ my devotee is never destroyed. You must have read about Kalipada Ghose, a devotee of the Master. Swami Premanandaji actually saw Master coming and holding Kalipada’s right hand walking away guiding him to another loka when Kalipada breathed his last. Assurances by Incarnation never fail. Yes, we are blessed to have Master for us! All glories to holy trio! Thank you for this wonderful incident. intensify our prayer. As Holy Mother says ‘remember! you always have a mother!’. Our father will never leave us. Having just returned from Belur Math, I really felt the presence of the divine there. Maharaj, I think its important we never loose faith in God. He is surely with us all the time. “Faith, faith, faith”! Faith in oneself and Faith in God” is the sure step for success, as Swamiji says. Balaram’s faith in the Master is legendary. There were certain forces in Calcutta at Master’s time that were quite against Master’s glory. He had to face many criticisms too yet hearing all those negative comments, Balaram never wavered. His faith in Master became so strong that no external circumstance could influence him. And that paid him in the end. As God is ever ready to come to our rescue and protect us, we as devotees also should repose unshakable faith in Him. Your comment is appreciated. My humble pranam at your holy feet Swamiji. Thank you for sharing this beautiful incident with us. I get goosebumps reading it and remembering Dakshineswar and Belur Math. I am glad that Maharaj has found time in his busy schedule to post in this wonderful blog. Thanks for your visit and for sharing your feelings in this blog. When I read this incident for the first time a few years back, I sat in awe and wonder. I could not control my tears. On last Tuesday in the Gita class when I was narrating this incident, I could feel the emotion of some of the audience who literally wiped their tears. Reading and understanding of such incidents bring a great change in our life. Not only we become humble but also ready ourselves at His service. May He bestow peace and progress to you and Shasnee! A wonderful anecdote to be meditated upon on the holy occasion of Sri Guru Maharaj’s Jayanthi. Simply thanking you for providing us this Leela of Sri Gurumaharaj for our meditation is too little. The only way we devotees can repay our gratitude is to deeply contemplate and to learn lessons from such holy incidents. In this connection, I am reminded of the wonderful incident in Sri Latu Maharaj’s divine life when he experienced Thakur’s presence at Dakshineshwar while he was physically away at Kamarpukur. All these holy happenings teach us one profound truth, Sri Gurumaharaj with his infinite mercy is very much available for every one of us. As He points out if the iron filling is not getting attracted to the magnet, it is the iron that has to be cleansed of its rust and other dirt to enable to get attracted by the ever-powerful magnet. And such Leela Dhyan does that cleansing and make us worthy of His Grace. May the Holy Trinity bless every one of us with Sadhu-Sangha forever and may we be worthy for such a Divine Gift. Yes, His leela divine play continues unceasingly. There are many anecdotes in the lives of Holy Mother and Direct disciples as well as many householder disciples about His appearance in many circumstances. Your reference to Latu Maharaj’s life is worthy to be noted. I do remember to have read such incidents in the life of Premanandaji when Master came to him and talked to him and saved his life. This below given incident was narrated by Most revered Vireswaranandaji Maharaj, the 10th President of our Ramakrishna Order. It was in those days that Premanandaji was invited to visit present Bangladesh and the devotees who were to take him were ready on that fateful day. He and the devotees were to take the waterways and the boat was even ready for departure at the Belur ghat. They were supposed to take a train from Calcutta and then take a steamer. It is customary for the monks that before leaving the Math, to go the shrine and make pranam to Master and take leave of him. A monk who was standing at the shrine heard to his amazement that Premanandaji was talking to the Master. Of course the said monk was not hearing the response from the Master. It appeared to him from the reply of Premanandaji that Master was telling him not to undertake that trip and cancel the program. The disappointment was writ large in the tone of Premanandaji that finally he said, ” All right Master, I shall not go.” He then went downstairs and informed the devotees that he would not be able to go. One can very well understand the utter helplessness of the devotees who have come to take him. Later Newspaper reports reached Belur Math that the steamer Premanandaji was supposed to take from Goalanda to Dhaka had been sunk by a cyclone. How timely Master saved him! Even today the same leela is continuing! Please accept my sastanger pronam on Dolyatra day. (19 March 2011). Mentally I am decorating your lotus feet with “Abir”. I received your latest blog a few days ago & I was thrilled to read about my Gurudev from whom I received the Diksha on 25 January 1957 in Bombay ( now Mumbai) Ashram. Soon after that I left India & came to the West. I had his darshan 2/3 times while he was staying in the Bombay ashram & later one evening, in Autumn 1957, had his darshan in Belur Math. Normally he interviewed people before he gave initiation but I was very lucky that I escaped from this procedure. Perhaps he knew my limitations. So at first I hesitated to write my comments in your blog, as I had nothing to contribute but later I found from the comments of the devotees that not many knew about him. (a)Satprasanga by Swami Vishuddhananda , (b) Yogakhem by Sri Bimal Kumar Bhattacharyya & Sri Lalit Kumar Mukhopadyaya & (c) Reminiscences of Srimat Swami Vishuddhanandaji Maharaj by Sri Karali Kinkar Mukhopadhyaya (Edited). Unfortunately all of them are in Bengali. His premonastic name was Jitendranath Roy.He became orphan while he was very young & his maternal grandmother brought him up. In 1901 his life changed after sitting for the Entrance Examination. He was very much attracted by the Spiritual life. He became a frequent visitor to the Metcalfe Hall, in the newly built Imperial Library, Calcutta where he was searching for the answer to his spiritual quest. He was helped by the chief librarian, John Macfarlane . One day in 1904 he noticed a book, Maxmuller’s Ramakrishna- His Life & sayings where he came across about the temple garden of Dakshineswar, four miles to the north of Calcutta. Soon after that he was a frequent visitor to the temple garden & sometimes stayed overnight there. He became closely associated with the nephew of Thakur, Ramlal Chatterjee from whom he heard about the Lila of Thakur.. He was happily devoting his time in meditation & japam there. One day he met Sri M of Kathamrita (the Gospel of Sri Ramakrishna) who gave him lots of encouragement. With his inspiration he stopped taking the cooked food from the Kalibari and instead started eating cheera (flattened rice) of two pice , sugar of one pice & a lemon of one pice and plunged into spiritual practices. Soon he met the disciple of Swami Vivekananda, Sharat Chakraborty who told him of Swamiji. In 1906 he heard of Holy Mother from the conversation between Ramlalda & Sharat Babu. . The name of “Mother” overwhelmed him as he lost his own mother when he was very young & soon he went to Jairambati for the darshan of the Holy Mother. He received the initiation on 16 December 1906. That was his early life. He became the President of the Ramakrishna Math & Mission on 6 March 1962 at the age of 79 years old. He passed away on 16 June 1962. I finish here with my sastanger pronam at your lotus feet. Welcome to this blog! After a long time I was happy to see you in our site. Your comments are here valued and why should you hesitate to write them? 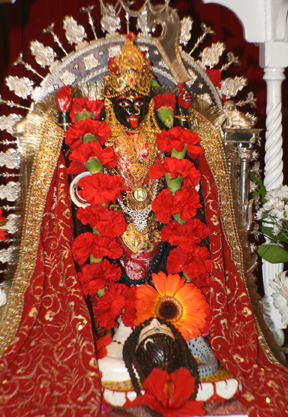 Devotees reading this blog do go through them with great interest and learn a lot too. Thus many devotees have reported to me. Yes, my hearty wishes on the ensuing Holi festival as well as on the holy occasion of the Great Mahaprabhu Chaitanya deva’s birth tithi (called Dol Purnima) on the 19th instant. I deeply appreciate your coming forward to write some of the bio-details of your venerable Gurudev. Your reminiscence was excellent. I had with me a cursory detail about his i.e., Swami Vishuddhanandaji’s life which I provided in my response to devotee-reader Sucheta from Italy. The facts that you have given out are all not known to us and I welcome the added details. Its a wonderful spiritual exercise to recall our association with our respective Gurudevs at any time. May Guru’s kripa be on us always is my prayer! Hope you are keeping very well Revered Maharaj. How special your words are as means of spiritual inspiration was brought home to me on my recent pilgrimage to the Gurusthan. 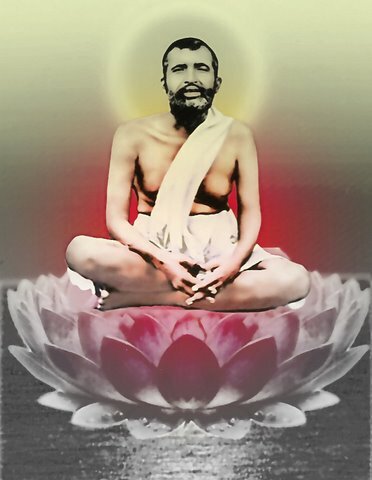 There, sitting in front, and at the louts feet of Sri Ramakrishna, often I would recall that wonderful incident recorded here in your blog – where your doubts as a novitiate into the holy order were resolved by Most Revered Swami Nirvananandaji through the revelation of his personal experience of Thakur’s living presence. And Revered Maharaj, that did help me so much! So again, please accept our thanks for your spiritual ministration of this worldwide readership. I also happened to meet Avithaji at Most Revered President Maharaj’s quarters, it was an unexpected pleasure! And she is such a charming and vivacious person.. the only regret was the meeting was short and abrupt. Revered Maharaj! it seemed also an evidence of your being a ‘satya sankalpa’. A wonderful instance of Divine play. Hearty Welcome to this blog on the holy occasion of Holi festival! How blessed you are in getting the opportunity to visit your Gurusthan! I could only make a ‘virtual visit’ by going over mentally the entire campus of Belur Math! Yes, what you told your mind, sitting in front of Master at Belur Math is absolutely true. Because we are not sincerely yearning to see Him, we are not that fortunate to see Thakur (only He knows when He shall reveal to us!) but great men in the past had seen him. What more do we need to add? Revered Swami Chetananandaji Maharaj of Vedanta Society of St Louis, USA in his thought-provoking book “How to live with God?” has given in detail devotees’ vision of the Master. You may go through those inspiring incidents here. Wishing you a blissful Holi festival and auspicious Dol Purnima in advance! Revered Maharaj, it was indeed a great blessing to visit the Gurusthan as this is the first time I travelled alone (without parents), and it is still a wonder to me how it was made possible. Thank you for referring to the wonderful incidents in Revered Swami Chetananadaji’s book. They are a great aid in fortifying one’s faith. Trust that Swamji is well. I am forwarding to all other devotees. I am happy that you enjoyed this post. And accept my special thanks for ‘forwarding’ to other devotees. My prostrations at your Holy Feet Swamiji. Hope you are keeping well. Hope you understand why I changed the order of names of yours here. It is a customary Hindu practice that the name of the lady comes first followed by her husband’s name such as Gouri-Shankar, Uma-Maheshwar, Lakshmi-Narayana, Radha-Govinda etc. Hence Ashika-Shandeep would be in order! I am happy that you still remember my tone and accent which sometimes hilarious to the SA audience! Even my English usage many a time sends peels of laughter among the audience!! SA devotees are so wonderful that they are not only tolerant but also kind in ‘appreciating’ my limitations too! May Gurudeva’s blessings be with you! Hari Om! I hope that Maharaj is well. Thank you, Maharaj, for your blog. Due to computer problems, I was only able to receive Maharaj’s most recent blog today, which is when I needed it the most. Recently, I have been assailed by doubts, which I have been calling a “crisis of faith.” In particular, I have been feeling as if I have failed in my faith because I have been finding it difficult to remain hopeful and patient. I have always believed that the only thing I should ask of God is the ability and opportunity to love Him unconditionally and that what I receive, whether they are challenges or rewards, is what I need to allow for such unconditional love. Recently, I found myself wondering if that is an overly simplistic and naive way of approaching spirituality. While, I still love God, I found myself questioning when will the challenges be enough. I have always thought of God as my own – my best friend, my protector, my father, my constant companion – and because He is my own, I could tell Him what was on my mind or what I was feeling. I also believed that His responses could take any form, whether it is something someone says in a passing conversation, a line in some text that I may be reading or an e-mail that re-affirms that all our prayers, whether silent or spoken, reaches Him. In reading Maharaj’s blog, I was reminded that God always grants whatever it is that we ask for. In asking for the ability and opportunity to love God unconditionally, I suppose that I have unwittingly asked for the challenges in the face of which my love for Him will be tested. Maharaj’s blog came to me when I was feeling spiritually lost and has helped me find my way back. Thank you Maharaj for your words of inspiration. They are a great source of solace and affirmation in times of need. Having just returned from India, this was so in tune to my feelings at Belur Math and the different RKM shrines. A shiver ran down my spine whilst reading this post! I felt Master so “alive” whilst sitting in the Holy Shrine of Belur. At that time, I was emotional, thinking that, I am blessed to be sitting in Belur Math temple, but I realised that it was Master Himself who just poured all His love and devotion into my heart… I felt like a toddler waiting for Master to give me some sign that I was welcome to this most pure, most holy, most beautiful place on earth. I read this particular post so many times…. and I get a sense of BELONGING in the massive circle of devotees! It was indeed a very sweet moment when I met Skendhaji at Most Revered President Maharaj’s Quarters. I was astounded when i heard someone call my name!! Albeit the meeting being so brief, it was really worth every second of our meeting. Meeting for the first time at Revered President Maharaj’s room was a blessing in itself. This a remarkable story and truly inspiring incident. The problem I feel that we don’t know what we want. Many thanks for this inspirational story. I would like to ask you a question, a doubt that troubles me more often. Life of a spiritual living often seems to move towards the goal in spiral. Thus, what may seem to the person in the thick of it be regression after a period of ‘progress’, is more likely to be simply the next step in an essentially forward moving transformative process. However, the time of great depression it feels like everything tumbles down. Maharaj I am very restless at times and can’t understand how to get rid of this depressions now and then. It seems my intellect often conflicts with my biswas (believe), and try to make my own excuses…Is it practically necessary to take initiation?